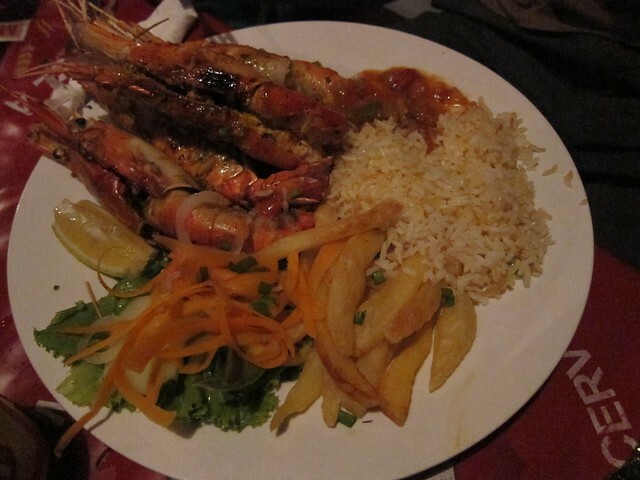 Our time in Moz was almost entirely spent on its coast, so almost everything we ate was seafood with either chips (french fries) or rice, with piri-piri sauce on the side. The most popular dishes were camarões (shrimp), lagosta (lobster), lagostina (something between a lobster a crayfish), and of course, fresh fish of the day. All meals are served with piri-piri, a hot sauce from piri piri peppers, which can be purchased in liter-sized bottles from stands alongside almost any road. The stuff is hands down the hottest hot pepper sauce I've ever tried. It's the kind of thing where you use a few drops, your lips start to tingle, your eyes are watering, yet you continue to add more and more until you can no longer feel your lips and you're in tears. Or maybe that's just me. In any case, that's how most meals ended for me. Can you blame me? Potatoes and rice need some spicing up when you eat them twice a day! 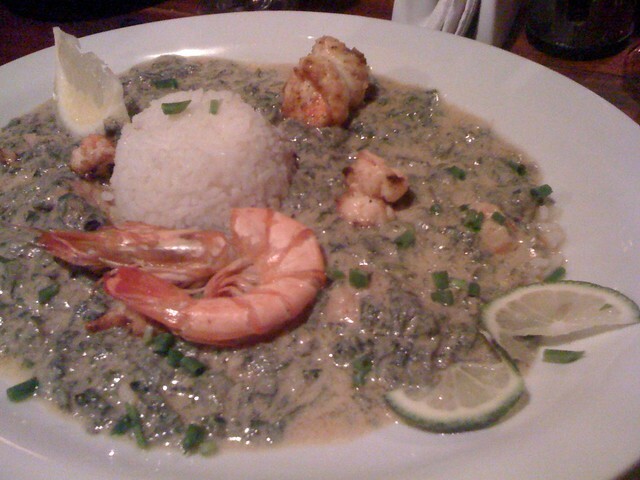 Aside from everything I doused in piri-piri, the two tastiest dishes I ate were a peanut and coconut-based curry sauce that I had one night with crab and one night with fish, and a classic Mozambican dish of pumpkin leaves stewed with peanuts and shrimp. Both were incredibly tasty, erring on the sweet side without being overly sugary. Dinners were washed down with a Doshem (the national beer): the perfect end to a day at the beach!